Yes, it's been a while. Almost 6 months to the day since my last post. Yikes! How do you start blogging again after such an absence? Well, I'm not sure. I've planned and actually started several posts, but they just came off sounding cheesy, so I'm just going to jump right back in with two feet and pick up where I left off, with a Monday night book review. One of my missions as a parent, teacher of reading, and lover of books is to share great books with others. Often, when looking for books, we are on the hunt for something new; however, there are many fantastic books out there that are classics. I loved reading as a kid and constantly had a book in my hand. I literally read almost nonstop, but there are a handful of books that are ingrained in my head from my childhood: Charlotte's Web, Wait Til Helen Comes, The Little Princess, and The BFG are just a few that pop into my mind. Although we still read some picture books here and there, we've started expanding our bedtime reading to include more chapter books. Chapter books are fantastic read alouds even when your child cannot read them him/herself. They help build listening comprehension skills as well as ideas about story structure, plots, characterization, and vocabulary development. I will give one caveat, think about the content of the read aloud and the ages of the children your will be reading to, before reading. I have abandoned chapter books in the middle because I didn't like the direction they were heading for the age of the listeners. Ideally, you could read the book yourself prior to reading it aloud to check the content, but if you're anything like me, you probably don't have loads of spare free-time laying around to preview every book out there. Just be thinking of the overall content of the book and your audience. For example, my children are 3 and 6 so Wait Til Helen Comes (a ghost story) will probably have to wait a few years. As a side note, this book was my absolute favorite when I was in 5th grade, but it terrified me at the same time. However, that didn't stop me from reading it over and over and over again. Anyway, back to reading chapter books aloud. We've read a smattering of chapter books recently ranging from Magic Tree House series by Mary Pope Osborne to E.B. White's Stuart Little to Charlie and the Chocolate Factory by Roald Dahl. 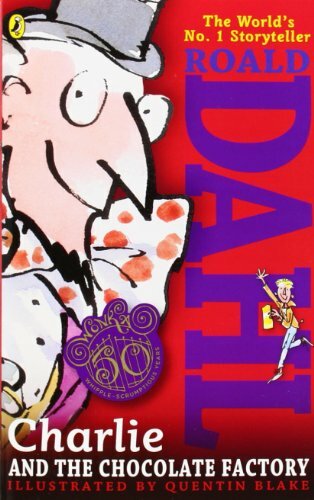 I initially thought of reading James and the Giant Peach (also by Roald Dahl) to my son, but then remembered that it's a little strange so I opted for Charlie and the Chocolate Factory instead. As many young children do, my children love candy and I thought my son would get a kick out of all of the cool different kinds of candy and rooms described in the book. I mean honestly, who wouldn't want to go for a swim in a chocolate river? Making connections with books is fundamental to reading and comprehending text, so if for example, your child or audience is a group of rough and tumble 6 year old boys, you may not want to read them a book about Barbie Princesses. But that kind of goes back to what I said before about content and your audience. I really chose this book for my son and being 3, I wasn't really sure what my daughter would get out of the book. Don't get me wrong, I could be reading a text book on teaching literacy strategies and my daughter would sit and listen to me read, but I wasn't sure if she would be able to understand and remember what was happening in the story. However, while we were reading the story she would actually talk about the characters in the story, Veruca Salt actually became one of her babies' names that week and she was very entertained by Augustus Gloop. So don't discount chapter book reading because your child is small. I don't think my son or daughter really understood how poor Charlie and his family were in the beginning of the book or why they were only eating cabbage broth soup each day, although I'm always telling them how lucky they are and that they should eat all of their dinner because there are plenty of children who are starving in the world. But they loved that Charlie found the final golden ticket and were very entertained by the events in the Wonka Factory. I also loved the overall message of following directions and not being too greedy or whiny or spoiled. I did omit language from the book occasionally because I thought it was a touch too rude. But the beautiful thing about reading aloud from a chapter book is that you can edit a little as you read, and as long as you are smooth about it no one will know. After we read Charlie and the Chocolate Factory, over the course of several weeks, we went to the library and checked out the DVD Willy Wonka and the Chocolate Factory (1971). There is a more current version called Charlie and the Chocolate Factory (2005) with Johnny Depp, but it's a Tim Burton version and although I could be wrong, because I haven't actually watched it, I wasn't sure about how dark and potentially creepy the movie was. Although, it's pretty dated, I thought it would be neat to show my children the differences between the book and the movie. If you didn't already know, almost all great books are made into movies, which leads to great conversations about books and movies. Throughout the movie, my son kept saying, that didn't happen in the book showing me he had a strong understanding of the book and was able to make connections to the book. Showing the movie after reading a book also shows children that there can be a visual of the story. One of the best ways to connect with a story is to visualize what's happening like a movie is playing inside your head. You don' t need a movie to visualize, but for early readers it can help them begin to see visualizing and to help them create their own images. Picture books are awesome, but there is something very powerful about opening your mind to chapter books.